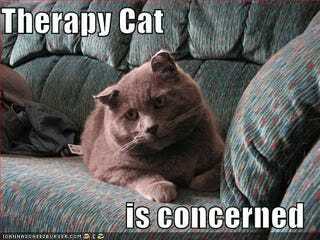 I have been a facilitator (and a member) of a LOT of therapy groups. I also teach family systems therapy and other clinical topics. I am involved in other group activities and think about gender dynamics frequently as a salient part of the struggle for power, dominance and the difficulty in giving all parties equal voice. As a result, I like to hear what other people have to say. Are women more likely to defend, defer and take care of men in classrooms and other endeavors than they are to take care of women? Do you ever feel yourself being swayed by the well-researched effect of women's and men's voices in a co-ed group—meaning that if women speak more than a 1/3 of the time, they are seen as dominating the conversation, as opposed to men, who are not viewed as dominating a conversation even if they are speaking the vast majority of the time? Are angry men vs angry women seen differently? Are you more likely to believe when a man says something is not misogynist than a woman because of assumed authority? Do you think other people are (because i do and would be curious to hear what other people have to say)?